Cogenra Solar is a distributed solar cogeneration company that combines photovoltaic (PV) electricity production and heat collection to deliver electricity and hot water for commercial, industrial and institutional applications. We've reported on them before as they explored ground-mounted usage (a solar cogen project at the Sonoma Wine Company) and the Heat and Power Purchase Agreement (HPPA). The firm has just announced the completion of a 75-kilowatt solar cogeneration project at General Hydroponics, a Santa Rosa, California-based manufacturer of indoor agricultural systems and nutrients. General Hydroponics, founded in 1976, is a leader in the home hydroponics industry. The firm has a significant gas demand for heating water to make nutrient blends and expects a payback of less than five years, according to its CEO. The 75-kilowatt system, 15-kilowatt of electricity and roughly 60-kilowatt of thermal energy, comprises 36 Cogenra photovoltaic-thermal receivers affixed via a standard solar racking system to the General Hydroponics rooftop and occupies approximately 2,800 square feet of roof space. 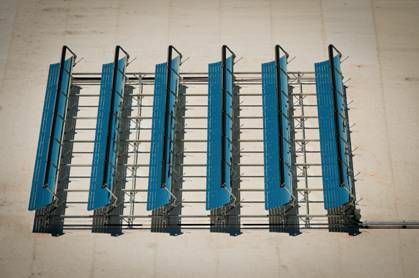 The system will offset about 3,500 therms of the facility’s natural gas usage, an estimated 60 percent of annual consumption; while the electric capacity will supplement electricity offset by the company’s existing 101-kilowatt PV system. Installed by Cogenra partner Sun Light & Power, a solar design and installation company, the construction period spanned less than three weeks. The Cogenra system produces water at 70˚C, required no special permitting or roof modifications to support the additional load, and comes complete with integrated hydronics, controls and inverter. Cogenra’s system is SRCC (Solar Rating and Certification Corporation) and IEC (International Electrotechnical Commission) certified for both thermal and electric rebates, including the California Solar Initiative (CSI), which offers an incentive for solar hot water systems. CSI thermal rebates, currently offered in the first-tier level of $12.82 per therm of year one displaced gas, complement the CSI photovoltaic rebates, resulting in faster paybacks than traditional solar hot water or solar electric systems alone. With the CSI and federal rebates, a Cogenra customer could yield a return on their investment in less than five years, while hedging against future utility price hikes and gas price volatility, according to a Cogenra case study. Hybrid PV and hot water is not entirely new -- one of the twists from the Khosla Ventures-funded Cogenra might be the Heat and Power Purchase Agreement (HPPA). This is akin to what SolarCity and SunRun offer in residential solar PV and to what a host of firms like Tioga Energy or Borrego Solar offer for commercial solar. Skyline Innovations and Metrus Energy do hot water and "everything but PV" PPAs. Cogenra's staff boasts CEO Gilad Almogy, formerly of Applied Materials; Ratson Morad, the COO, a member of Solyndra's founding team; and Preston Roper, the CMO and former employee of Tioga Energy. Cogenra's board of directors includes Pierre Lamond and Dan Maydan, both Silicon Valley heavy-hitters. 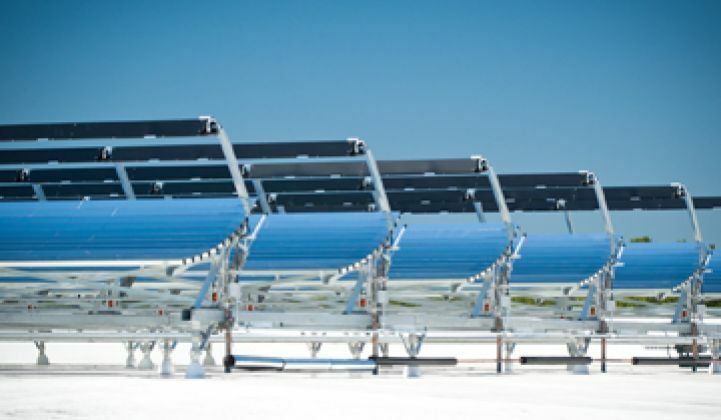 Cogenra claims that their system produces five times more energy and three times the greenhouse gas reductions of traditional solar offerings. About 190 gigawatts of solar water heating is installed globally, according to Almogy, the CEO. Compare that to the 40 gigawatts of solar photovoltaics installed on the ground. But you tend to hear a lot more about photovoltaics (PV) in the press and, admittedly, in this publication. PV is a bit sexier -- there's a semiconductor aspect and a magical conversion of sun to electricity. Hot water is kind of dull. More importantly, tax credits for PV systems are more pervasive. "But solar water heating is five times more efficient than PV," according to the CEO, and therefore has a much faster payback. It's also an accepted way of doing things in China, the Mideast, Germany, and in Austria, of all places, according to Almogy. The math shows that solar heat is cheaper than solar electricity, so the much higher efficiency of solar water heating by itself translates to a only a minor commercial advantage over PV. Cogeneration, however, takes the best of both worlds by generating as much electricity as standard PV and adding four times as much heat -- the extra four units of solar heat is monetarily equivalent to the solar-produced electricity. It essentially doubles the value of a PV system. Scrubbing some heat away from the PV cells can also improve performance and lengthen the lifetime of the cells. Cogenra is focused on medium-sized applications -- not single-family homes, nor hundred-megawatt solar farms. In Almogy's view, "PV has paved the way." The same PPA-type financial tools and renewable energy incentives once used to get the photovoltaic market off the ground are now primed for hot water applications. Applications for hot water are ubiquitous; some are obvious and others maybe not-so-obvious. They include food processing, hotels, restaurants, schools, corporate offices, laundries, boiler pre-heat for power generation, and jails. Venture capitalists with whom I've spoken understand the value of hot water production and the PPA model. They have, however, expressed some distaste for the plumbing aspect of hot water generation, challenging me to name a plumbing startup that went public or garnered VC returns through an acquisition. 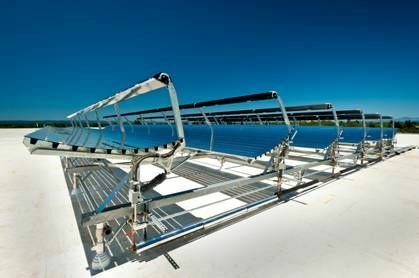 Other players in the hybrid PV and hot water market include ZenithSolar, with a HCPV/solar hot water system that it says will produce over 2 kilowatts of electricity and the equivalent of 5 kilowatts of solar hot water, as well as Absolicon, Chromasun, PVT Solar, Sundrum, Turkey's Solimpeks, Thrive Power, and Entech, which counts David Gelbaum as CEO.